When David Shano decided to start his company, American Equus, in September 2016, he wasn’t thinking about Thoroughbred racehorses or their jockeys. In fact, other than being interested in racing during the six weeks in the spring when Triple Crown fever grips the United States, he knew very little about horses besides what he learned when he watched his daughter, Chloe, ride. 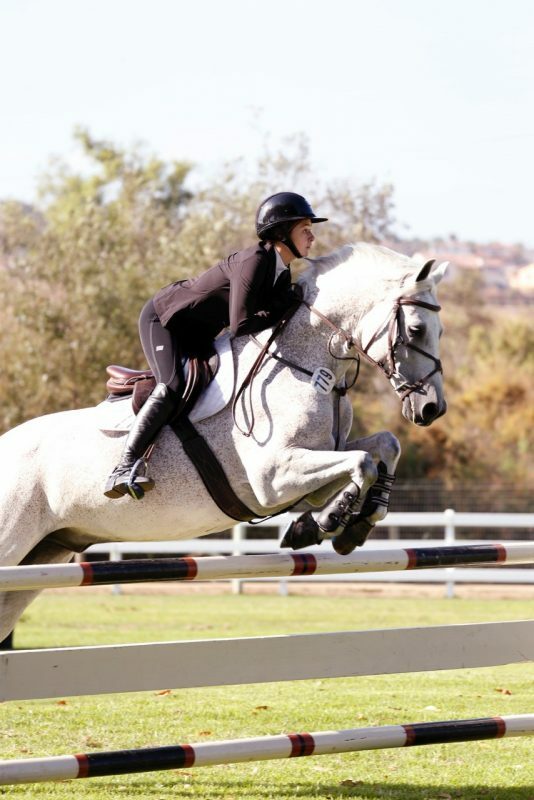 Chloe Shano competing Jax at Showpark in Del Mar, California, riding in stirrups created by her father. A designer by trade, David knew about designing, machining and problem solving. When Chloe had repeated troubles keeping her feet in her stirrups, he knew he had found a project that they could work on together, and American Equus was born. In the two years since identifying that problem, American Equus has grown to a worldwide brand and this year the company’s signature stirrups carried jockey Mike Smith to the coveted Triple Crown title aboard Justify. 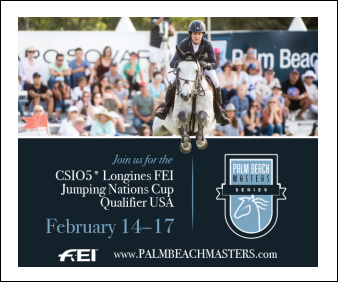 American Equus was born in Gilbert, Arizona, when David consulted with Chloe about why she had repeatedly lost her stirrups while riding. 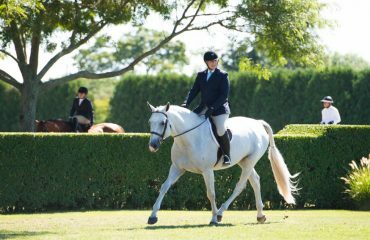 At 14 years old, Chloe was moving from ponies to horses and learning to jump, and her biggest difficulty was maintaining her balance and keeping weight in her heels. 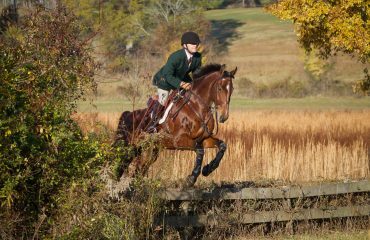 David analyzed Chloe’s every lesson, all while browsing the European stirrups available at the mobile tack stores at Chloe’s horse shows. “I was looking at these stirrups, and I just knew that I could make something that was better and more effective,” David recalled. 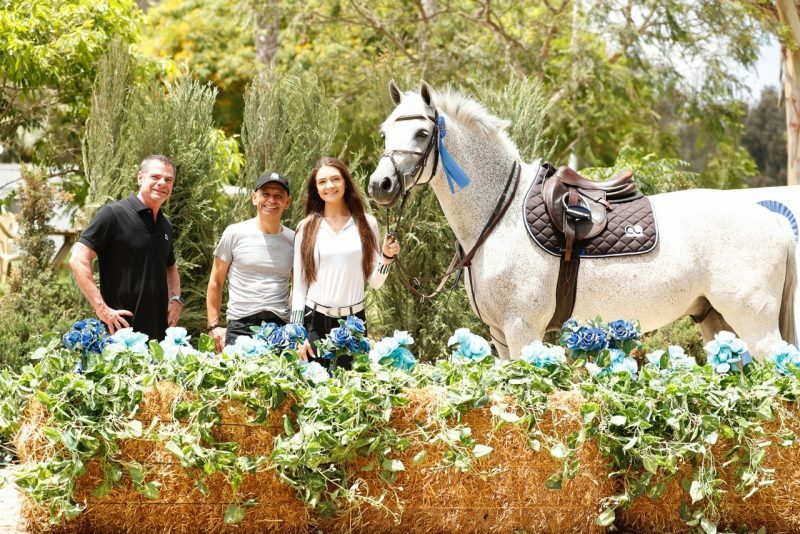 David and his team set about to create a product that would both keep Chloe’s foot solidly in the stirrup as well as make sure that her leg stayed in line with her shoulders and hips. After several iterations, Chloe and David decided that they had built the perfect stirrup. With his design perfected, David saw an opportunity in the stirrup business. With every new stirrup model he produced, he would post a picture to Instagram and Twitter explaining the engineering behind the design. After one fateful tweet, he was contacted by a young jockey apprentice who suggested that David try to make something exclusively for racing. 2018 Triple Crown winners Mike Smith and Justify; Mike rode Justify in American Equus stirrups in all three of the Triple Crown races. 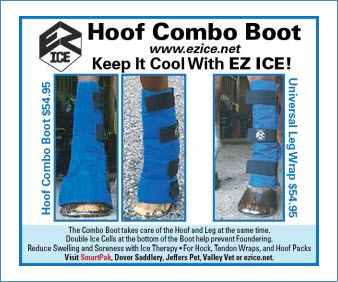 Many design facets make American Equus stirrups unique. 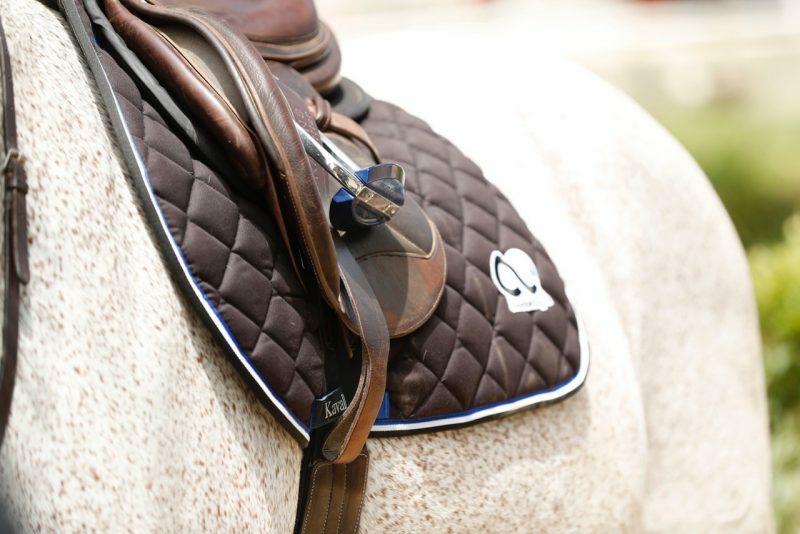 All American Equus products are made from solid billet aluminum that is both lightweight and incredibly strong. 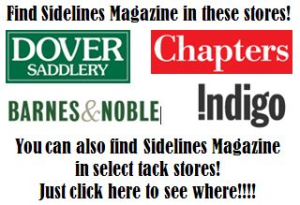 A patent-pending footbed helps the rider find the stirrup without looking and feel secure. And, the stirrups’ traction pins help the rider’s foot stay grounded to the stirrup while optimizing their natural balance. To top it all off, American Equus products may be made in almost any color imaginable — perfect for jockeys who are always racing in someone else’s colors and rarely have an opportunity to express him or herself. After a year in business, David was introduced to Hall of Fame jockey Mike Smith by Drayden Van Dyke, a young jockey who was poised to become one of the riders to watch at Del Mar Racetrack outside of San Diego, California. Drayden had a locker next to Mike’s, and Mike took one look at Drayden’s American Equus irons and knew he needed a pair. On a trip to watch Chloe compete in a horse show in Del Mar, David met Mike in a hotel parking lot and gave him the stirrups they had designed. “Mike rode in the irons almost immediately and called me with things he thought would make the product better, and that’s how we came up with our Teardrop XL design that he rides in now,” David said. Each pair of Teardrop XL irons is meticulously crafted out of a solid, lightweight billet aluminum alloy — the same material used to build airplanes — to provide extreme lateral crush strength and help to protect the jockey’s foot and ankle, especially in the gate. 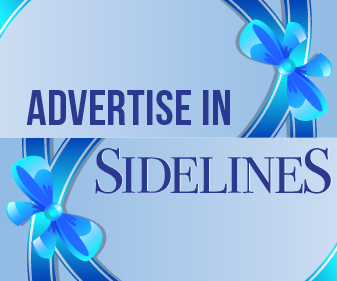 The footbed is extra wide and allowed Mike to stand up firmly and ride with greater confidence. “He rode lots of races in them, including numerous Grade 1 stakes, and that’s when I knew that we had reached a whole new level,” David said. Inducted into the National Museum of Racing Hall of Fame in 2003, Mike has been a top jockey in American horse racing since the 1990s. Before 2018, Mike had won all three of the Triple Crown races individually and had more Breeders’ Cup Championship wins to his name than any other jockey in the history of the sport. In January 2017, Mike stunned the world by winning the Pegasus World Cup on Arrogate, and a few short months later the pair came back to sweep the Dubai World Cup. In May of that same year, he won the Kentucky Oaks on Abel Talesman. In June, another American Equus rider, Jose Ortiz, took home top honors in the 149th Belmont Stakes aboard Tapwrit. For the rest of the summer of 2017, American Equus jockeys continued winning races and, by the time the Breeders’ Cup Classic rolled around, 16 of the world’s most elite jockeys were riding in American Equus irons. Although Mike was the favorite on Arrogate, it was Florent Geroux on Gun Runner who took American Equus to the Breeders’ Cup winner’s circle. When spring arrived the following year, racing enthusiasts and horse lovers began their annual buzz around the Kentucky Derby, the first step in the Triple Crown. 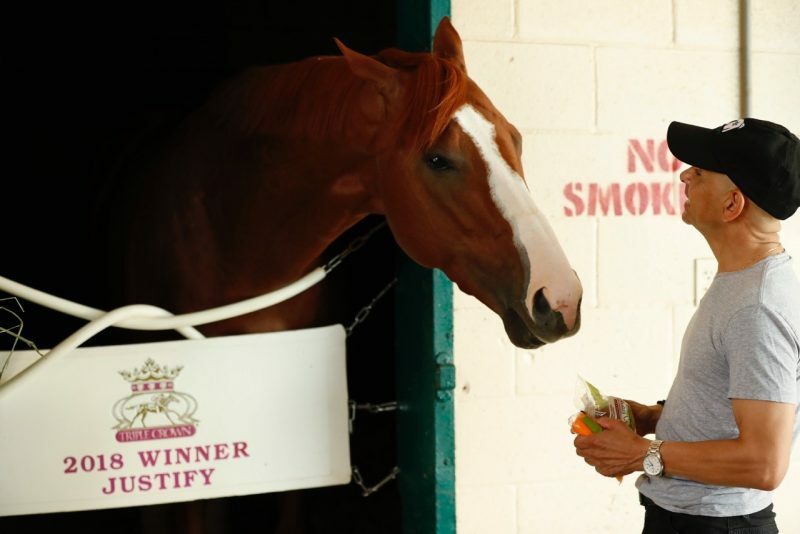 There were rumblings of a young chestnut stallion named Justify who had been unraced as a 2-year-old, but showed such dominance in his single race earlier in the year in California that he would be the favorite for the Kentucky Derby. Bob Baffert, Justify’s trainer, knew he could rely on Mike to give the stallion a smart and strong ride. On a soaking wet and gray day at Churchill Downs, Justify ran a near-perfect race, besting a field of 23 of the world’s best racehorses to become the first horse in 136 years to win the Derby after not racing as a 2-year-old. The race also made Mike the oldest jockey to win the Derby, at 52 years of age. David, along with the help of his daughter Chloe, created the American Equus stirrups after watching Chloe having trouble keeping her feet in her stirrups. The Preakness Stakes, held in Baltimore, Maryland, at Pimlico Race Track, saw another wet, foggy and treacherous track. Based on his showing in the Derby, Mike was confident that the colt could handle the conditions if he gave him room to run. Although the race was more competitive than the Kentucky Derby, with Justify only narrowly beating out Bravazzo and Good Magic, it was still a win that put him one step closer to being the next horse to capture America’s heart by winning the coveted Triple Crown. The pressure was definitely on at the Belmont Stakes, the last race Justify needed to win before he could claim the Triple Crown and take his place in sports history. Only two years prior to that day, Bob Baffert had trained the great American Pharoah to a Triple Crown win, and he knew just how hard the young horse would have to fight to achieve the same victory. After breaking smoothly from the gate, Mike guided Justify to the early lead in the longest race of his career, and luckily the pair didn’t have to contend with bad weather as in the previous two races. Justify led the race the entire way with his characteristic fluid strides. In a time of 2:28.18, he immortalized himself and Mike by adding his name to the short list of athletes that have won the Triple Crown and, in doing so, helped American Equus to be part of the most important horse races in the United States. The Shano family met Mike in Del Mar for dinner after his historic win and, although Mike had become one of the most famous athletes in the world, he and Chloe still sat closely together at the end of the table and talked about what they both loved more than anything in the world — riding horses. “Mike has taught Chloe so much about riding and the art of getting to know a horse. They can talk for hours about riding, training, planning — the list goes on. She’s 16 years old now and turning into an incredible young woman. I’m so amazed that our family’s had this experience together. I think we have the gift of a lifelong friend in Mike, and I’m so grateful for that,” David mused. 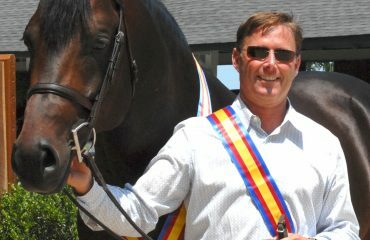 Both the Shanos and Mike agree that the next thing to do is try and win another Triple Crown, and to continue being successful in the sport they love, aptly referred to as the “Sport of Kings.” Outside of Thoroughbred racing, American Equus has had the luxury of watching other riders, such as Victoria Colvin and Sharn Wordley, have incredibly successful summers in hunter-jumper rings, and is looking forward to what 2019 has in store. 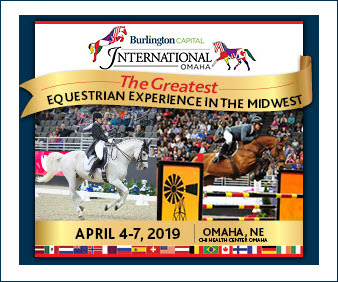 For more information, visit www.americanequus.com.